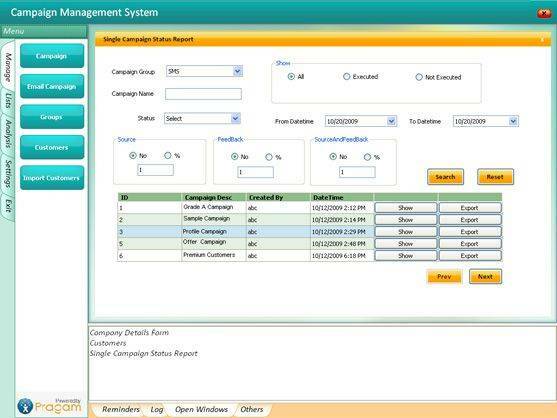 Find out how Campaign Management solution can be implemented at your Organization / Company by contacting us today ? The USP of the product lies in its analytical and forecasting capabilities of handling large volumes of stored data recorded from the sources and feedbacks over different campaigns; and also ascertains the probability of a customer returning in the next campaign along with the regular statistical information from each campaign. Extract unique set of targeted mobile numbers from the existing grouped data associated for the campaign. 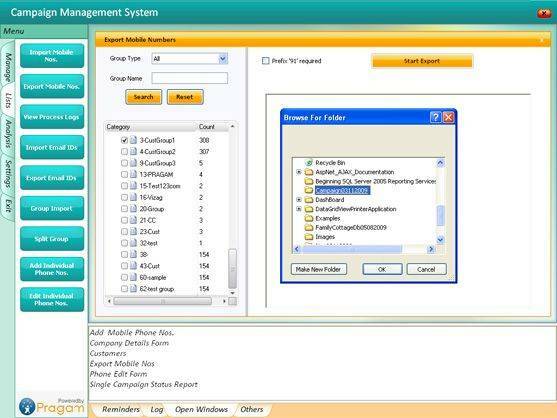 The extracted data can further be used as a primary input for the SMS Engine to generate SMS messages. Generate e-mail newsletter to the targeted groups associated for the campaign. 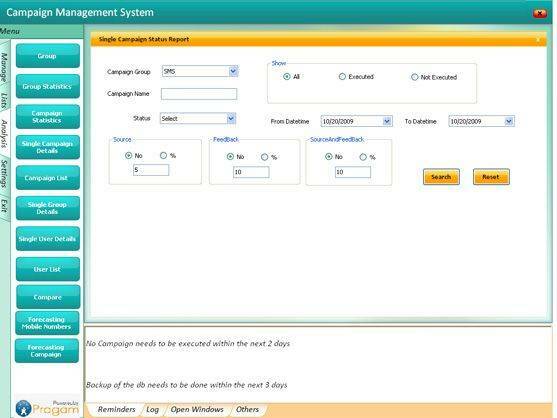 Currently this tool supports scheduling for e-mail based campaigns to be executed at a later date.